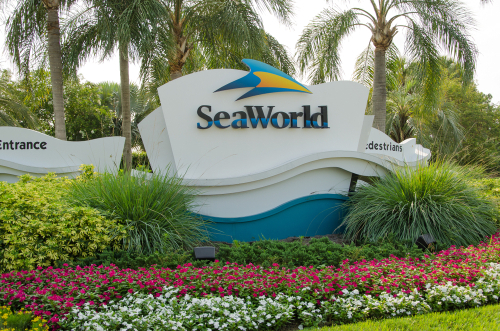 A former corporate lawyer for SeaWorld has pleaded guilty to one count of insider trading for buying company stock last summer after learning of yet-to-be-announced increases in attendance and revenue. Paul Powers, 60, of Winter Park, Florida, pleaded guilty Tuesday in Orlando federal court, report the Wall Street Journal, the Orlando Sentinel and a press release. He was formerly the associate general counsel and assistant secretary of SeaWorld. Prosecutors say Powers made a profit of nearly $65,000 on his trades in August. Powers liquidated all his stock in his Ameritrade account to buy 18,000 shares of SeaWorld stock for about $385,000 on Aug. 2. After SeaWorld announced the better-than-expected increase in revenue and attendance, the stock price rose 17% and Powers sold all his shares. Powers had learned about SeaWorld’s improving financial condition through his position as a lawyer for the company, prosecutors said. The Securities and Exchange Commission also accused Powers of insider trading in a civil complaint. Powers agreed to a permanent injunction, with any disgorgement and penalties to be decided by the court, according to a press release. SeaWorld spokesperson Suzanne Pelisson-Beasley told the Orlando Sentinel that authorities contacted SeaWorld about Powers late last year. SeaWorld conducted an investigation and fired him.